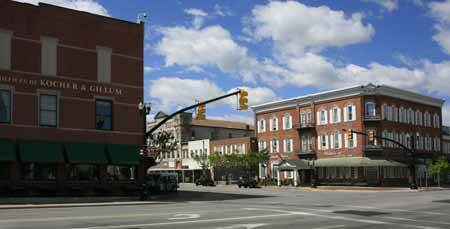 Located on Ohio's North Coast, Port Clinton is home to great walleye and perch fishing, sandy beaches, and an historic downtown with quaint shopping and waterfront dining. Every year Port Clinton hosts the annual Walleye Festival. 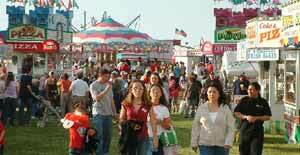 The 5 day Walleye Festival takes place each May beginning the Thursday before Memorial Day and lasting through the Monday holiday. Just down the road (SR163) is Marblehead, the Marblehead Light House, Lake Side, Johnson Island, Catawba Island and ferry service to Kelly's Island. In the early 1800s the country was beginning a massive expansion by building the Erie Canal was completed in 1825 and later work began on construction of the National Road. Ohio was in the process of surveying land for the Ohio and Erie Canal that would connect Lake Erie with the Ohio River through the eastern half of the country. A second canal was also being proposed. DeWitt Clinton, the driving force behind the Erie Canal, was suggesting to Ohio that it build a canal from Lake Erie using the Portage River and then going south and eventually connecting to Cincinnati. Everyone thought this was a go and land speculation began along the proposed route. A new town was laid out where Portage River emptied into Lake Erie. The town was plotted and a name given to the area: Port Clinton, in honor of DeWitt Clinton for foresight in choosing the area for the canal. The name of that canal would have been the Sandusky-Scioto Canal that would have connected Lake Erie and the Scioto River via Port Clinton / Columbus / Chillicothe / Portsmouth. However, after further consideration, it was determined that a better route further west would be more economical to build and maintain and so the Miami Erie Canal was built. That might have been the end of Port Clinton before it ever began. But in 1827, a group of Scotsmen were shipwrecked near Port Clinton. Rather than continue on to their destination of Chicago, they remained at Port Clinton and quickly developed a fishing trade. Germans soon joined the Scots, and by the early 1830’s Port Clinton was a major fishing center with fish sheds sprinkled all along the Portage River estuary. 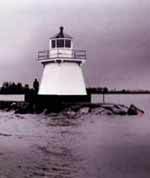 In October of 1832, the government purchased acreage on the east side of the mouth of the Portage River for lighthouse purposes. Two months later, the respected contractor, Levi Johnson of Cleveland, was commissioned to build a lighthouse on the property. 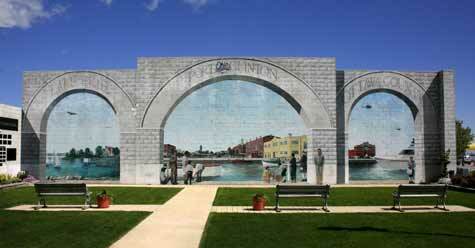 Port Clinton is one of the major gateways to the recreational side of Lake Erie. It is a major recreational fishing center and home to Jet Express one of the premiere ferry services to South Bass Island and directly to Put-in-Bay.